Every city has its cool kids neighborhood and the North Loop is Minneapolis’ hub, humming with creative excitement and it’s an easy walk from downtown. Near the Mississippi River, it’s a condo-dense area with dive bars, upscale cocktail rooms, fantastic coffee, high-end shops, and nationally renowned restaurants. Restaurants are listed in geographical order from West to East. James Beard Award winning chef Isaac Becker’s Italian eatery is perpetually packed. Small and large plates are available and are best shared with friends. 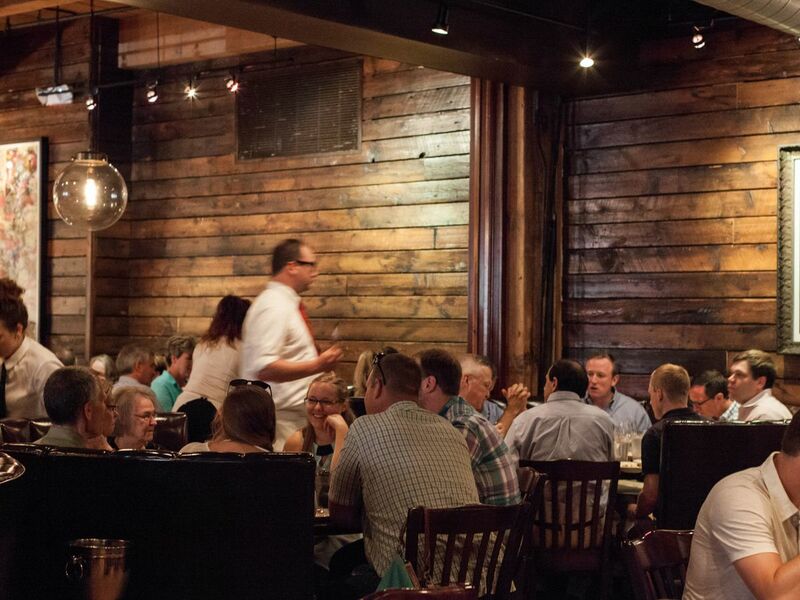 The crowded, boisterous dining room is always humming with activity. Parlour Bar’s more upscale sibling restaurant with beautiful plates of food and a wonderful side patio for lingering on when the nights are warm. The food is fancy enough for date night, but casual enough for a post-work hang. The open warehouse dining room has wood and metal finishes. This subterranean bar is known for high-end cocktails, friendly bartenders and an absolutely insane diner-style hamburger. 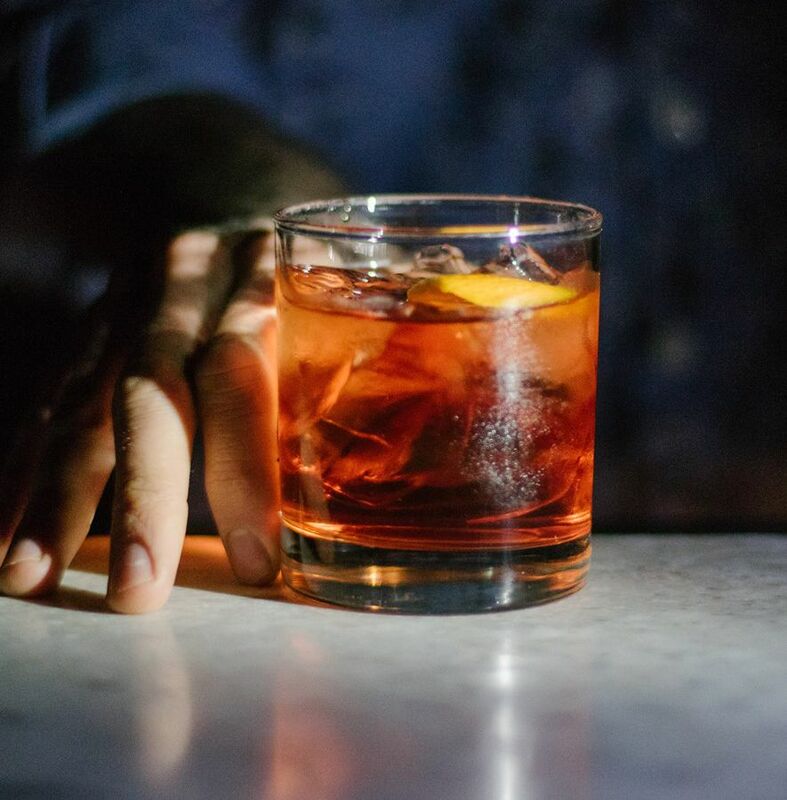 There are dark corners and giant booths for chilling with someone special or a crew of friends. Coal-fueled fire kissed chewy edges mark each of the pizzas found inside this ground-level pizzeria that also serves a wide selection of locally brewed beers. 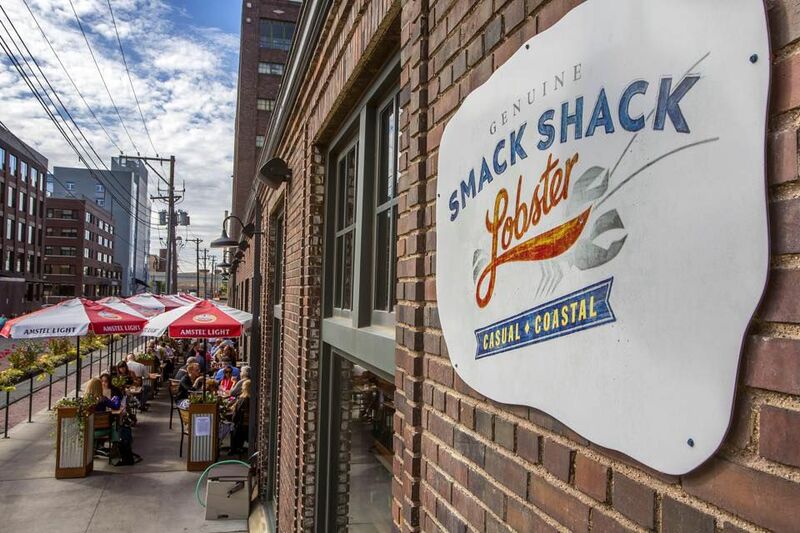 The unlikely home of great lobster in the heart of the country, Smack Shack is a large warehouse space with a perpetual cauldron roiling, waiting to kick off another lobster boil. This giant room with hard spaces can get a little loud, but it’s always a freewheeling, fun time. Upstairs is a casual neighborhood eatery serving breakfast through dinner and downstairs in a nouveaux-dive bar with a food-service window. 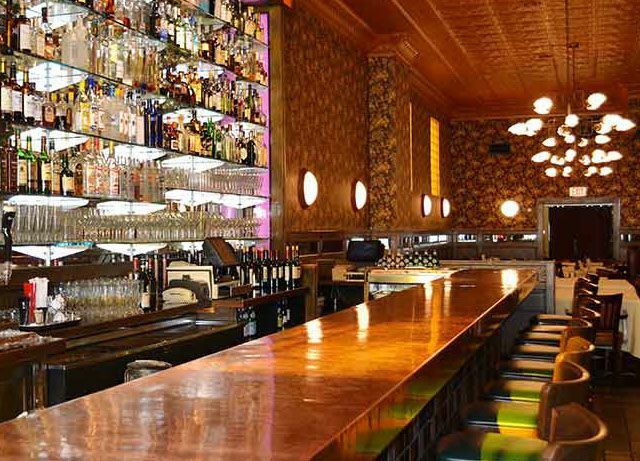 The mac and cheese is legendary, as are the friendly, fast-pouring bartenders. 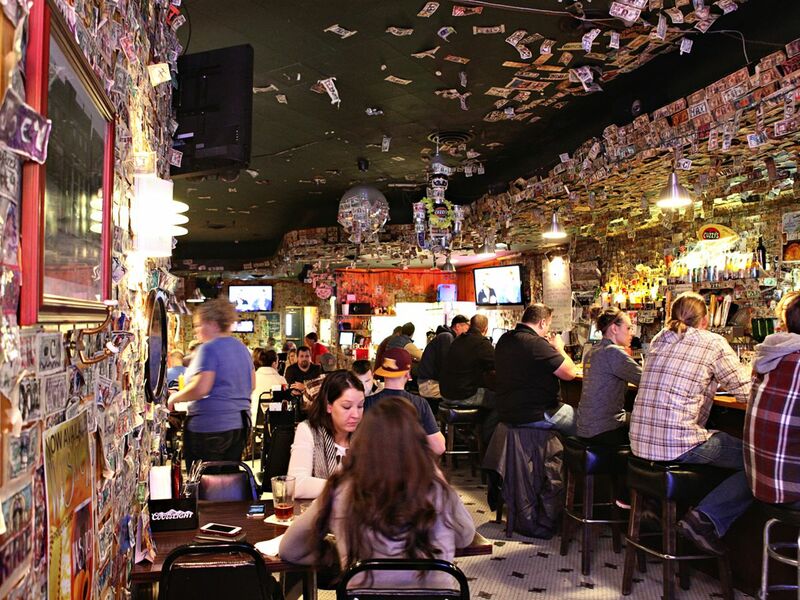 A classic neighborhood dive bar that has remained true to its roots as the neighborhood has grown up around it. It’s dark, well-worn, and affordable for a simple beer and bump. This shop was an immediate hit and the bagels continue to draw the lines and fans. 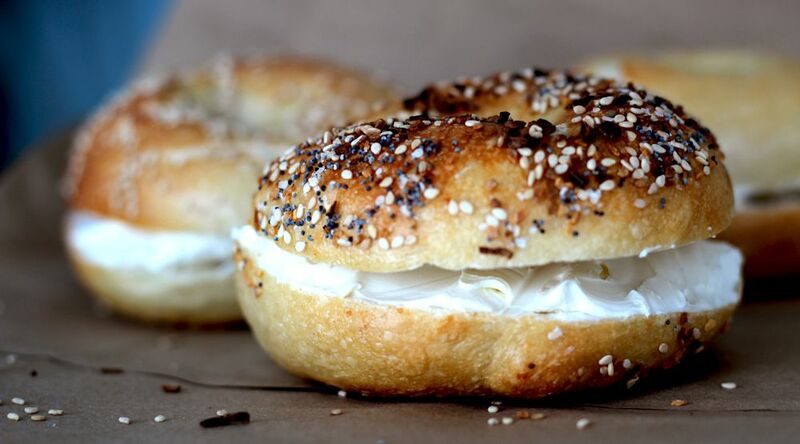 Office heroes are made by stopping by early and sharing several everything bagels and a tub of scallion cream cheese. Grab a bite at the upstairs Bachelor Farmer before heading into the below level speakeasy. (Enter through the unmarked door facing the parking lot.) These boundary-pushing cocktails are the kind of thing mixology nerds geek out about, but are also divine to simply sip. What if Minnesota cuisine could be elegant and groundbreaking? 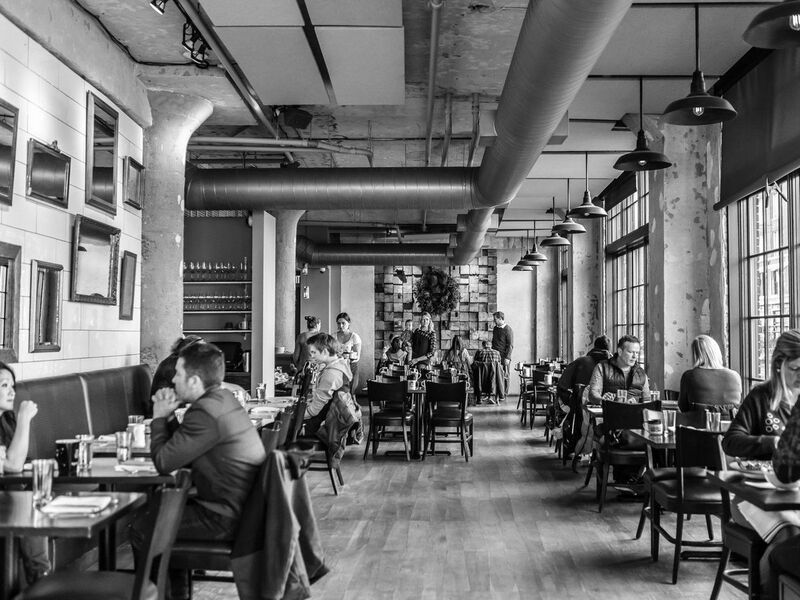 That was the presumption that Eric and Andrew Dayton used to open this landmark restaurant that led the charge to changing the North Loop dining scene. The room mixes fine-dining elegance and country chic like the cornflower blue and white wallpaper. 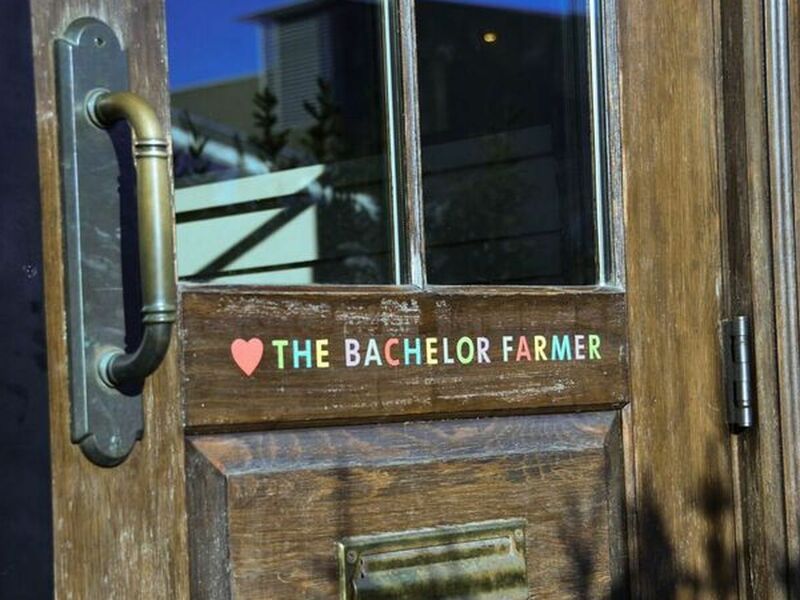 The Bachelor Farmer Cafe has incredible pastries like perfectly-sized cinnamon rolls and grilled sandwiches created by the same chefs who lead the high-end restaurant next door, but with more affordable prices. Gavin Kaysen changed the conversation around Minnesota dining when he left New York to open his first restaurant in his hometown. Three years after opening, this remains one of the most sought-after reservations in town. 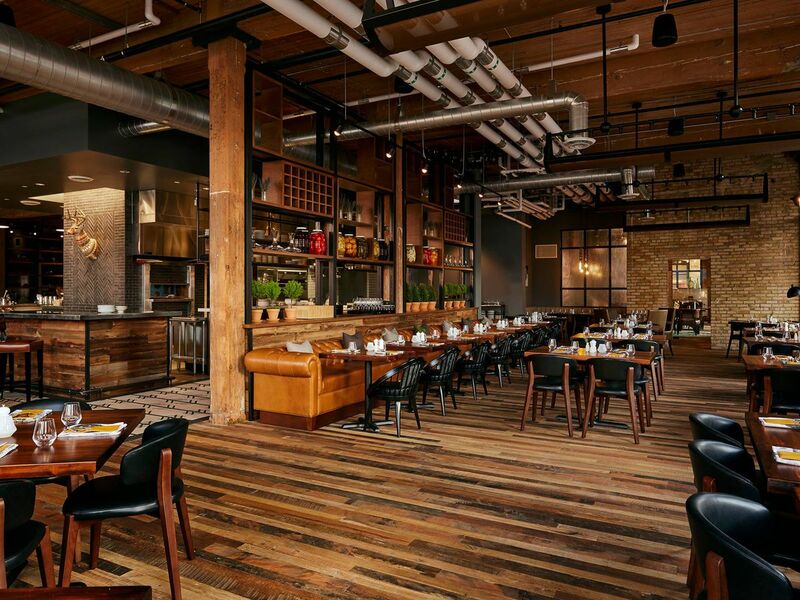 This warm wood and leather filled chill space at the base of the Hewing Hotel is experiencing a culinary renaissance under its chef Matt Leverty. The dishes are total Instagram-bait with beautiful plates and occasion-worthy flavors. A throwback to another era, Monte Carlo hasn’t changed a thing in years to create a 50’s style dining room with ice cold martinis. 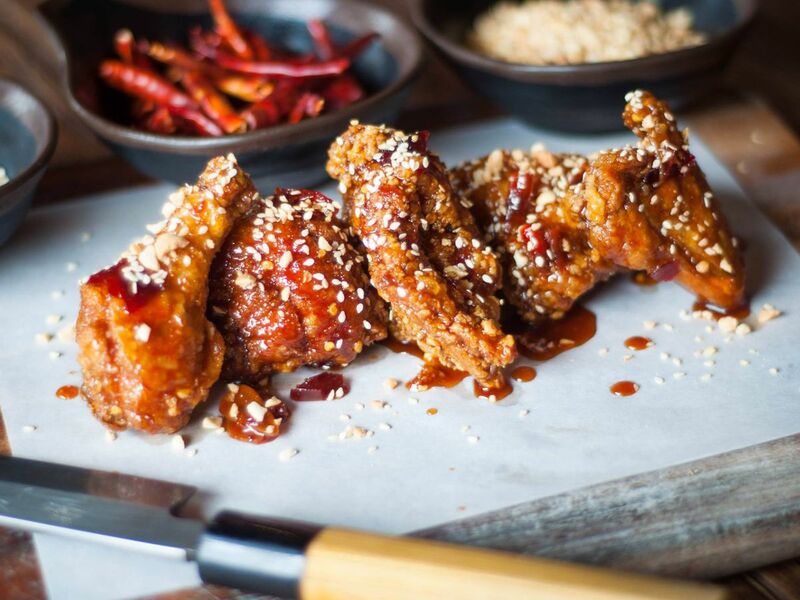 In the warm months there is an expansive patio, but the can’t miss dish here are the wings. Massive and coated with a carefully guarded secret spice rub. 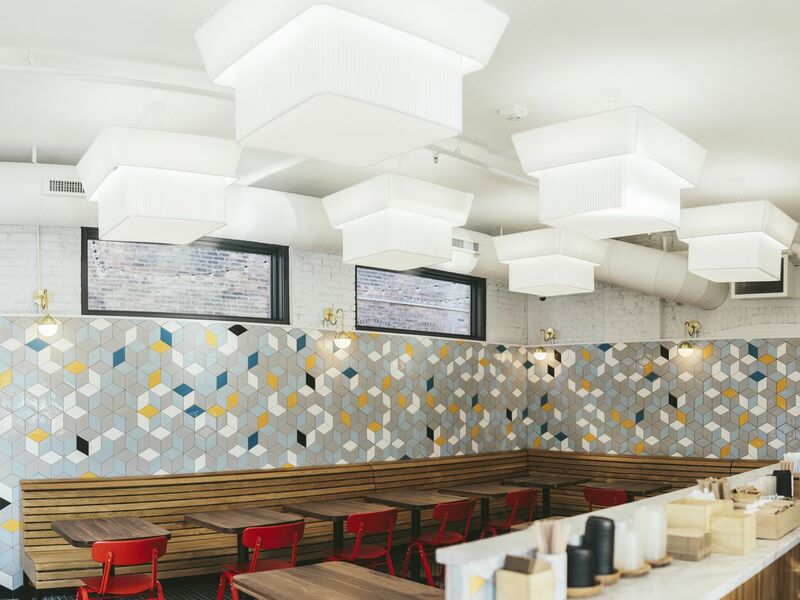 There aren’t many seats, but with such gorgeous food, it’s worth jockeying for space. 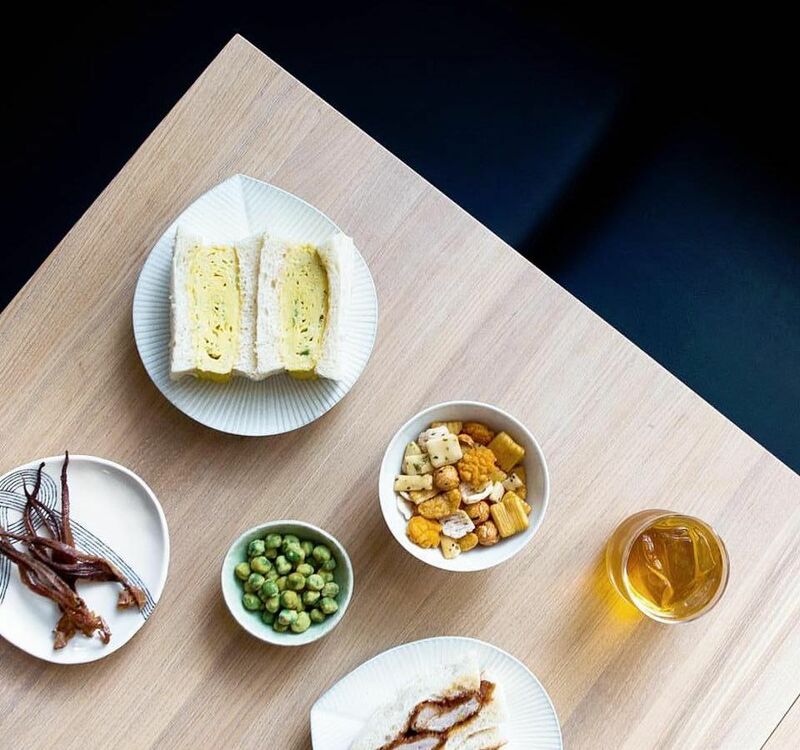 Kado No Mise serves lunch Tuesday through Friday, dinner Tuesday through Saturday and adds a special late night menu on Fridays and Saturdays. It also has a Japanese whiskey-stocked bar. 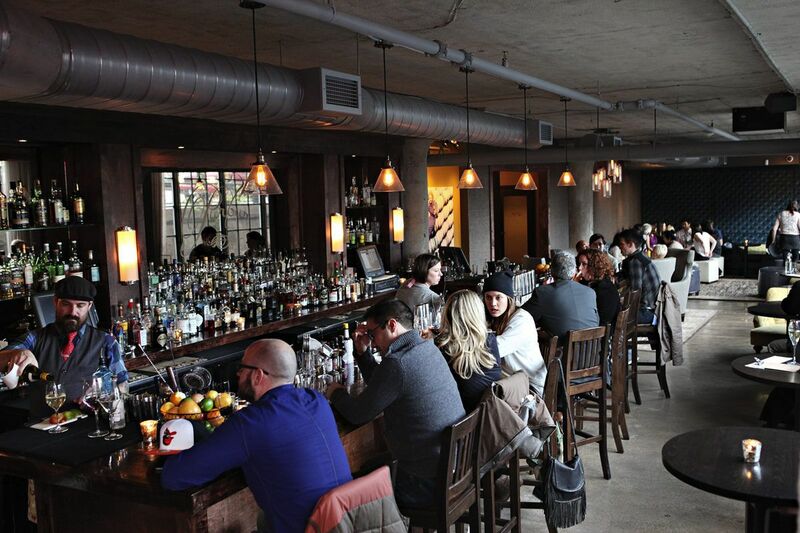 A casual neighborhood gathering spot, Red Rabbit is especially popular before a Twins game. 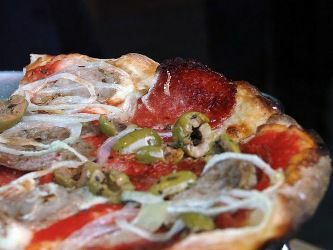 The menu stars pizza, pasta and other Italian-influenced dishes. There is also a full bar with a deep and long cocktail menu worth diving into. Sticky wings and a great patio make this a popular pre-Twins game stop.